It's another Friday challenge with Your Next Stamp and it's all about Florals. 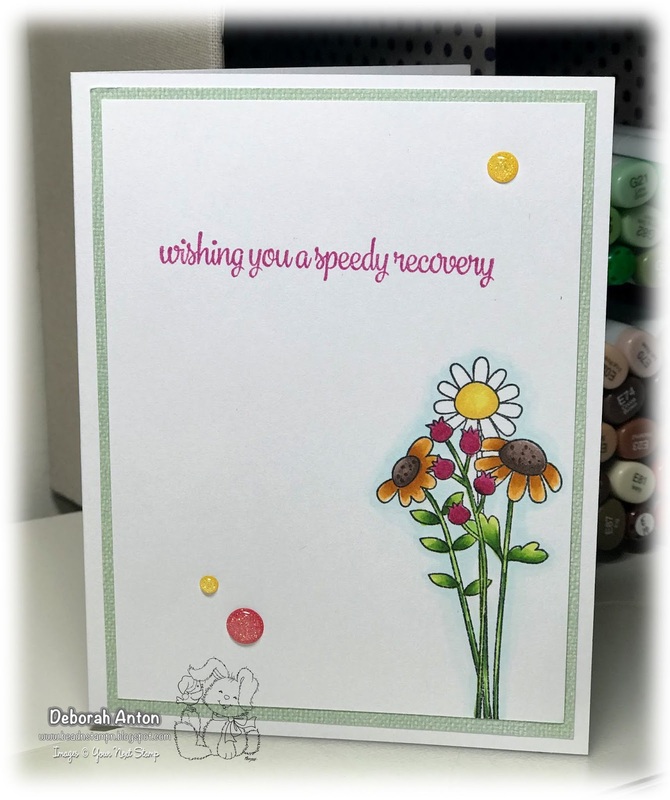 Perfect for Spring and get those pretty floral stamps inky. I am using the Flower Bouquet set to create this CAS get well card. I stamped the image and colored it in with Copics. This image is also perfect for masking and getting in multiple flowers for a larger bouquet. The middle panel is some textured patterned paper that was used before the top panel was put on top. The card was finished with a few gumdrops and a sentiment at the top. That is it for me today! To see all the DT creations, be sure to stop by the YNS Blog here. Thanks for stopping by and hope you have a great weekend!